Elon Musk continues to defy the world with his latest plan. Elon Musk’s SpaceX will launch it’s new Falcon Heavy this month which as Elon says is “most powerful rocket in the world by a factor of two”. The billionaire’s space exploration company claims in his latest Instagram post that the Falcon Heavy that, at 2,500 tons of thrust, the rocket is equivalent to 18 Boeing 747 aircraft at full throttle. 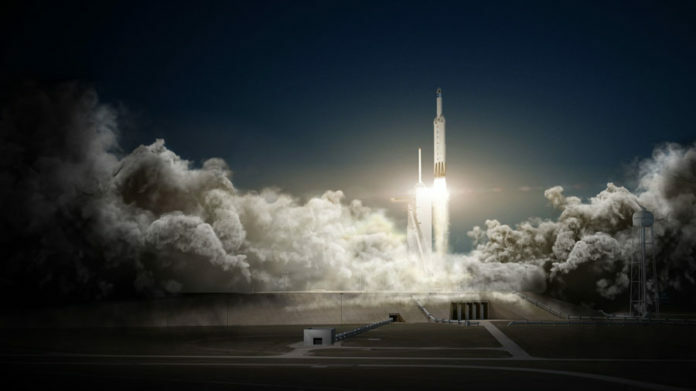 The billionaire’s space exploration company claims the Falcon Heavy is the “most powerful rocket in the world by a factor of two.” Musk said in an Instagram post Thursday that, at 2,500 tons of thrust, the rocket is equivalent to 18 Boeing 747 aircraft at full throttle. Elon’s plan was always to make the human race a multi-planetary species as he has said in multiple interviews. The timeline Musk gave was; two cargo landers would land on Mars in 2022, with four vehicles launching in 2024. Two of those 2024 ships would be crewed, meaning, in Musk’s timeline, humans could walk on Mars in just seven years. Interesting things are coming to Planet Mars in 2022!